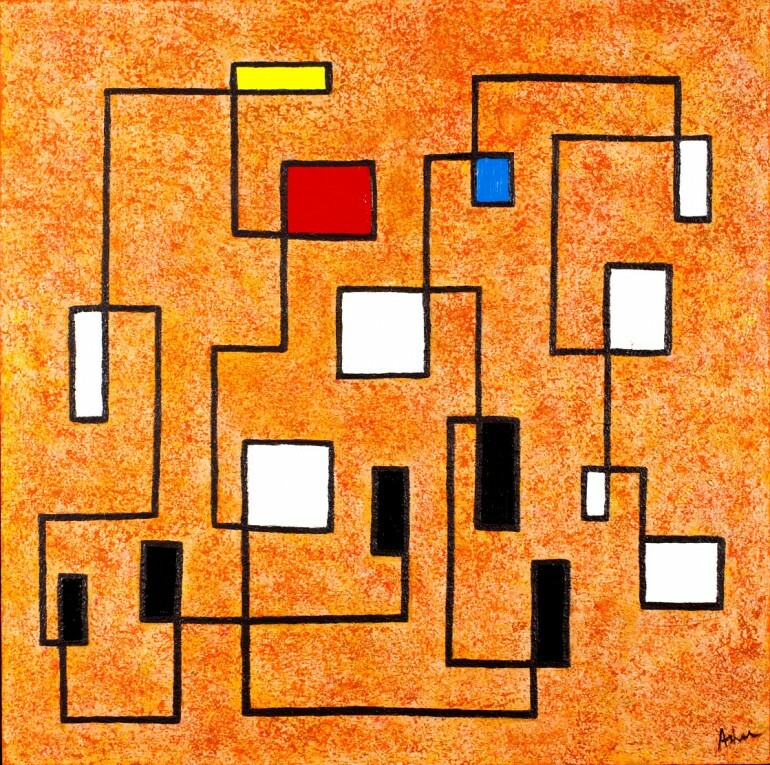 This series is a play of graphics, music and color that owes a degree of inspiration to Piet Mondrian. Over a muli layered background of sponged and steel wool patted coloration, each note of the chromatic scale is represented beginning with the C in the lower left hand corner. The three colored boxes at the top represent the musical and visual harmonics of this key in this formation and serve to provide a bond between the black and white rectangles of the scale and the textured background pattern surface.